This book is filled with powerful ideas and simple proven tools that will help you transform your wishes into dreams, and then into an achievable one-page roadmap for creating your dream life – a life designed by you for you, and for your loved ones. Kristina Karlsson, the woman behind the inspiring global success story, kikki.K, shares personal insights from her amazing journey, from humble beginnings on a small farm in Sweden to the 3am light bulb moment that led her to chase and achieve dreams that are now inspiring a worldwide community of dreamers. Featuring stories of: Dr Tererai Trent (Oprah Winfrey’s all-time favourite guest), Arianna Huffington, Stella McCartney, Sir Richard Branson, Oprah Winfrey, Li Cunxin (author of ‘Mao’s Last Dancer’), Alisa Camplin-Warner (winner of a remarkable Olympic gold medal), Michelle Obama, and others. Follow Kristina on Instagram HERE. 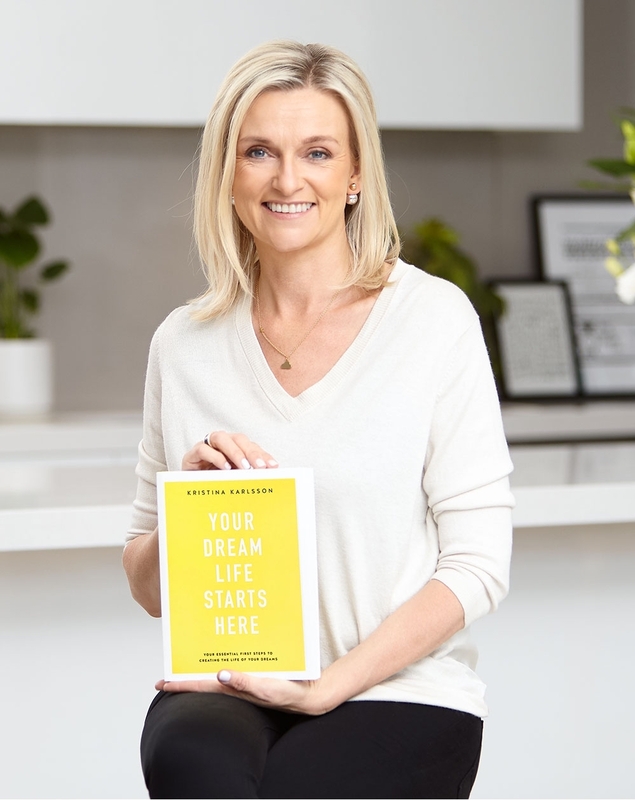 Whether you want to get the most out of your personal or family life, career or business, the valuable insights and practical learnings you’ll make from this Dream Life Masterclass may be your most important this year. Attend to be inspired and to learn from the amazing real-life stories from three women who have deep experience in achieving their dreams – each of them starting from humble beginnings before applying simple practices of dreaming and chasing dreams that we all should be taught at school but aren’t.